Nivea Visage Q10- Behind the Scenes on a Photoshoot. To be asked to shoot the worldwide Nivea Q10 campaign with five other models is indeed an honor. Getting jobs like this is rare and fun, and we have one week to get the photos that will sell Nivea for the next few years if we’re lucky. It’s good exposure and one of the best jobs a model can get. The final cut of models are Ashley Yao from Nathalie agency, Jessica Aurora from Storm London, Monica Watkins, Camilla Thorsson and Jocette Coote (me) all from Ford NY. Jobs like this have to appeal to the masses, as Nivea is a global brand. Each model is to represent every corner of the planet, with various skin tones and hair colours representing the largest cross-section of Nivea consumers. I’ve been told that the casting process took nearly two years, a world-wide search to get the perfect five faces. We are shooting in the south of France. These photos will be on billboards and magazines for seasons to come. As models we want to look our absolute best, so we are chosen in the final edit. But when your pores will be blown up to the size of your hand it can be a nerve-racking experience. A detox before this job is a MUST. Plenty of green tea and sleep is on the cards. Firstly we are shooting in Nice in an ancient olive tree grove, the rough textures of bark contrast with creamy skin. Greg Everingham is doing hair and Phophie Mathias has the honor of doing the makeup. Armelle Leturcq from Crash Magazine is styling. Olaf Wipperfurth from WIB is the photographer. The advertising agency is TBWA, and the inspiration behind this job comes from Michael Rauschl, James Cheung, Barbara Chevalier and Catherine Kikoine and representing Nivea is the ever-smiling Corina Berthold. 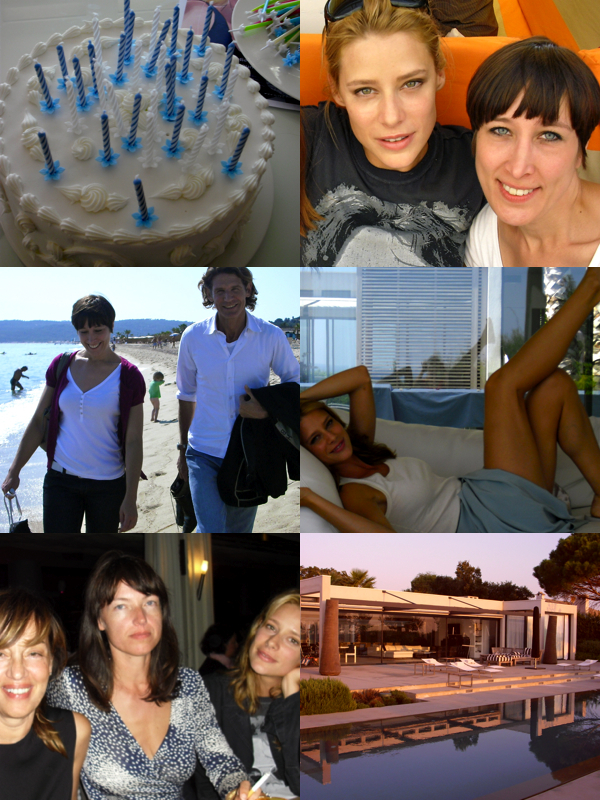 Our second location is an open plan house in St Tropez, where we will shoot all our singles and all the group shots. This is where the hard work begins. Shooting from sunrise to sunset everyday. Looking for the perfect photo that will sell those creams. and this time it felt as if my teeth were going to shake out of my head.